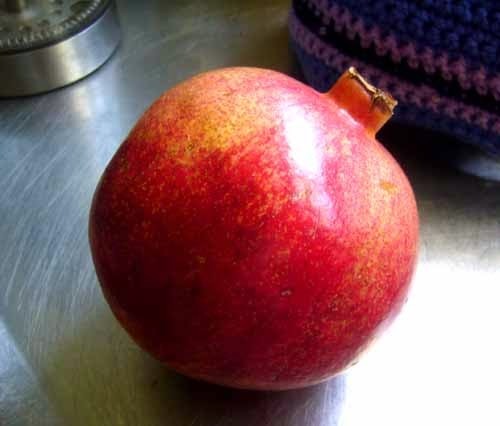 Went to the market this morning and saw a beautiful Pomegranate, had to buy it, I was going to draw it, but decided not to as I didn’t want to cut it open yet. As I was in drawing mode I decided to draw my starter for lunch, now I don’t normally have starters, but I had guests and while I was going to serve them Moussaka, I couldn’t have that as I have just started a new healthy regime. But I could have the starter and a fruit smoothie while they tucked in. In the garden I have globe artichokes and they are going crazy. 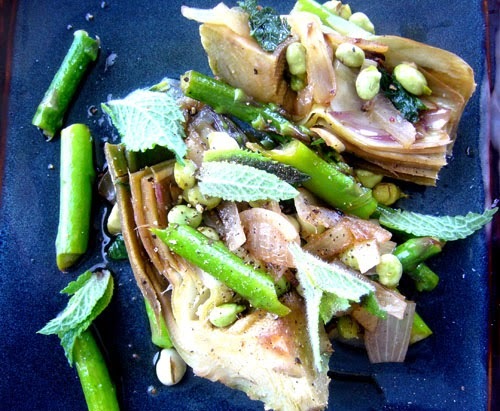 So I flipped though my cookbooks and found this recipe Sweet and Sour Artichokes in an Italian Cookbook. What was even better I had plenty of broad beans also. So I got to and started to draw with my pencils. However when I was cooking it, I realized I didn’t have any peas, umm…. Ah hah, I have plenty of asparagus, just the job. So here is the finished dish. It was yummy! The dressing is really good as it has no oil, and good for us weight conscious souls. I will be using that dressing on lots of stuff. Oh here is the sketch I did of the asparagus! 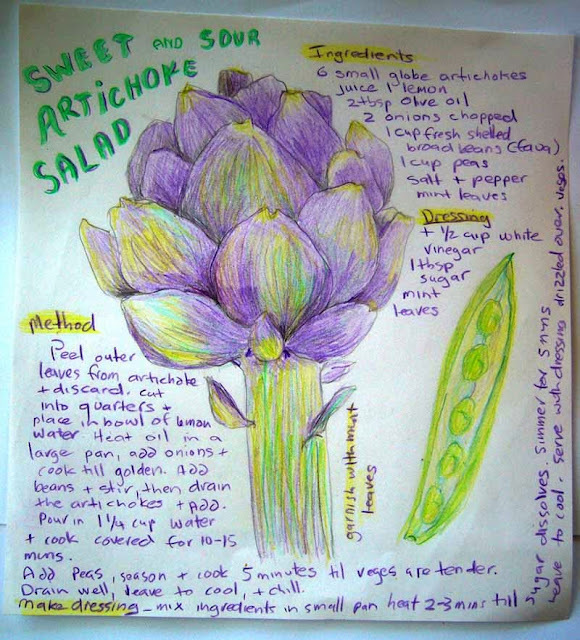 You know this has given me an idea to do more of this - recipe drawings that is. Although, I need to sort out the writing and its placement. Including today’s recipe was an afterthought. Anyway I am linking this to Alexandria of SundaysSketches haven’t been there for ages, looking forward to seeing you all. I love your art this week, i love food too! That pomegranate looks so luscious even before it is cut open - because you mentioned purple I could see the deep purple in the shadowed part of the fruit. Your vegetable drawings are lovely, and I like your idea of drawing for a recipe. After a while it would add up to a great illustrated recipe book.